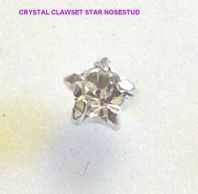 Star shaped nose studs in sterling silver. The crystals are claw set so they won't fall out. In lots of different colours. Star nose stud with crystal ab rhinestone. 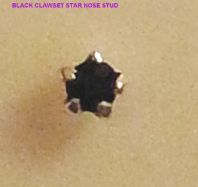 Star nose stud with black rhinestone. 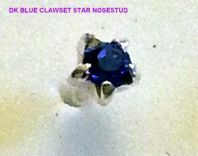 Small Blue Star nose stud . 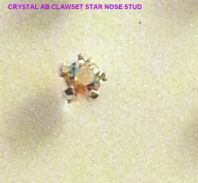 Clear rhinestone set Star nose stud. 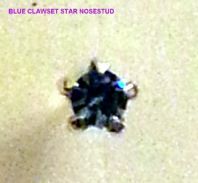 Star nose stud with Dark Blue rhinestone. 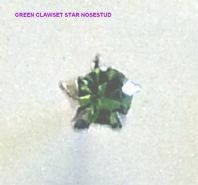 Star nose stud with Green rhinestone. 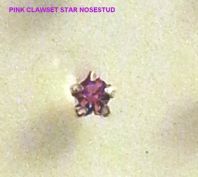 Star nose stud with pink rhinestone. 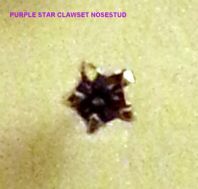 Star nose stud with purple rhinestone. 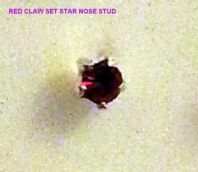 Silver Star nose stud with red rhinestone. 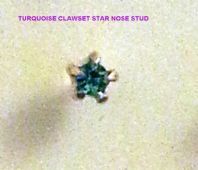 Silver Star nose stud with turquoise rhinestone.